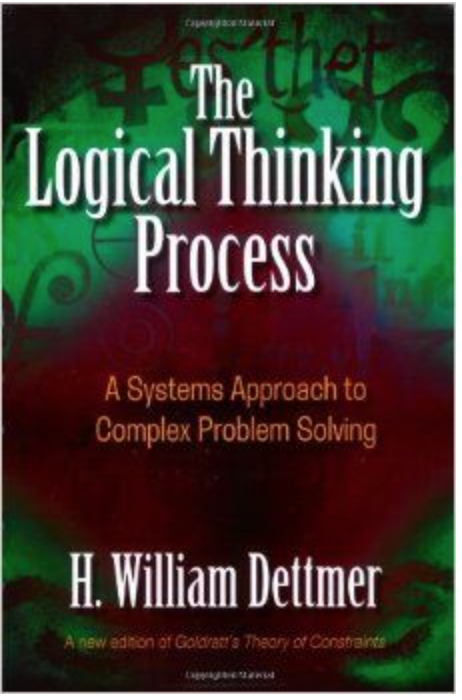 If you have not yet been on a training in Logical Thinking Process I strongly recommend that you take the opportunity this spring and join a 6 day trining course held by the author of the best book of the subject Bill Dettmer. After I took the training I have improved my logical decision a lot,and moved from stomach decisions to decisions based on a logical analyses where I spend time together with other people solving problems with a focus on always creating win win solution. Logical Thinking Process, as the name suggests, uses sound logic and a set of tools or processes to provide executives and system managers an effective method for designing organizational strategy, planning its deployment, evaluating its effectiveness, and making corrections as needed in the shortest possible time. The LTP can typically produce a completed strategy within a matter of weeks, including the required deployment tasks and activities. It provides an easy way for executives to monitor progress of strategy deployment. In the problem-solving mode, resolution of complex system problems has been designed in as short as a few days and no more than several weeks (the time required for solution implementation varies with the nature of the situation). The two most significant challenges leaders and senior managers face are creating and deploying an effective organizational strategy and solving complex system problems. What will be needed for tomorrow? What is holding us back from achieving new levels of success? How can we change direction? These are all questions that traditional methods of continuous improvement are ill-equipped to address. Strategy development and complex problem solving represent opposite sides of the same coin. Consider that problem solving at the strategic system level is no more than identifying the shortfalls in performance against the originally designed strategy, determining the reasons why these gaps exist, and creating ways to close them—thus improving the success of the original strategy. 1. What is the benchmark of desired system performance? 2. Why is the system not already achieving that benchmark? 3. What should be done differently to achieve the benchmark? 4. How should changes be effected?